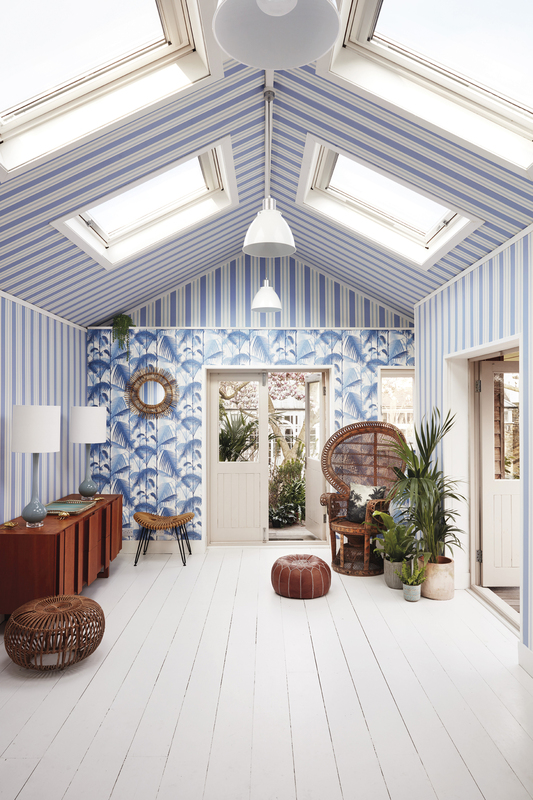 A celebration of the beautiful simplicity and striking style of one of the most enduring and accessible patterns perfectly mastered by Cole & Son, Marquee Stripes offers a range of playful, elegant and sophisticated styles to suit any interior scheme. 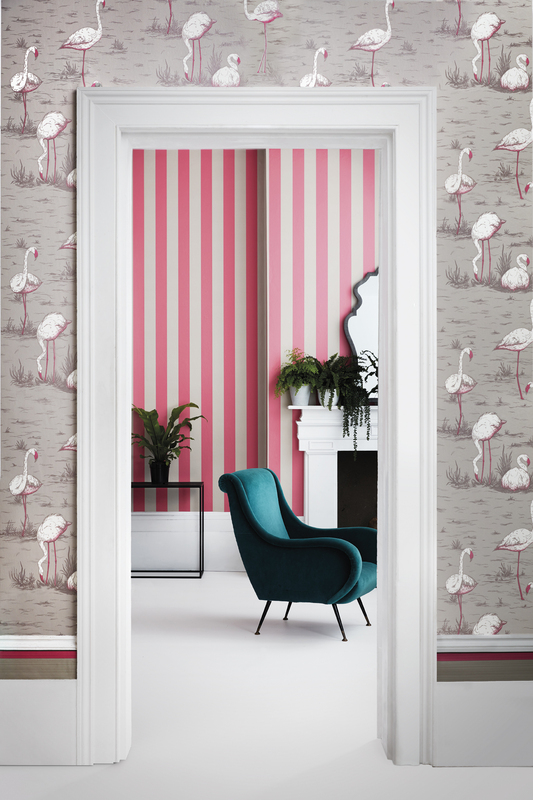 From bold, graphic, super-sized stripes to delicate, hand rendered fine lines, designs are offered in a range of contemporary and traditional colour palettes complementing a variety of interior styles. 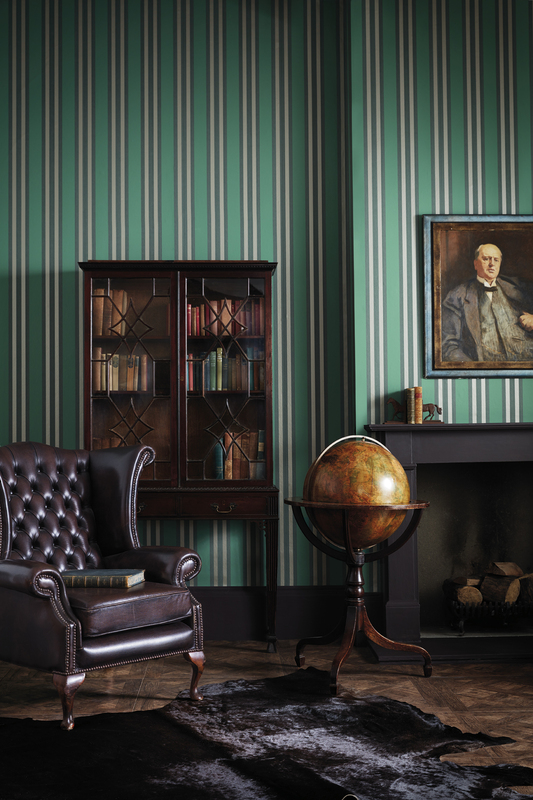 Whether using a solitary stripe for high impact or pairing with figurative papers for a considered, coordinated look, the collection is designed to make a distinctive and distinguished interior statement. 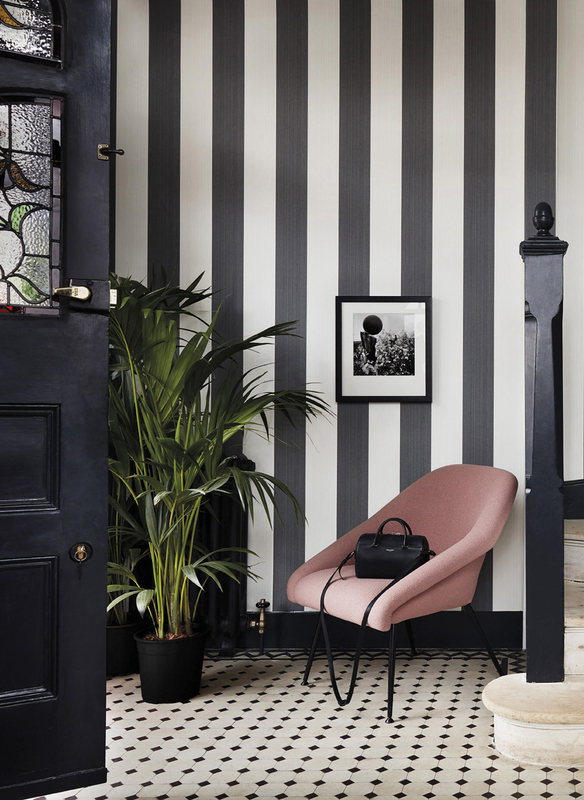 Soot & Snow is a warm and contemporary take on traditional black and white, combining the elegance and impact of this customary pairing with a serene softness for eye-catching, inviting interiors. Linen is a sophisticated palette of stone, linen, pebble and pale clay which is neither too yellow nor too grey and feels peaceful and calm in both large and small rooms. Charcoal & Bronze is a glamorous palette of matte metallics offset by warm, chalky grounds of fawn, chocolate and charcoal for the ultimate luxurious look. Pink & Linen has shots of cerise pink contrasted with crisp linen in this contemporary palette with impact, whilst white washed candy pink is a surprisingly sophisticated take on a childhood favourite. 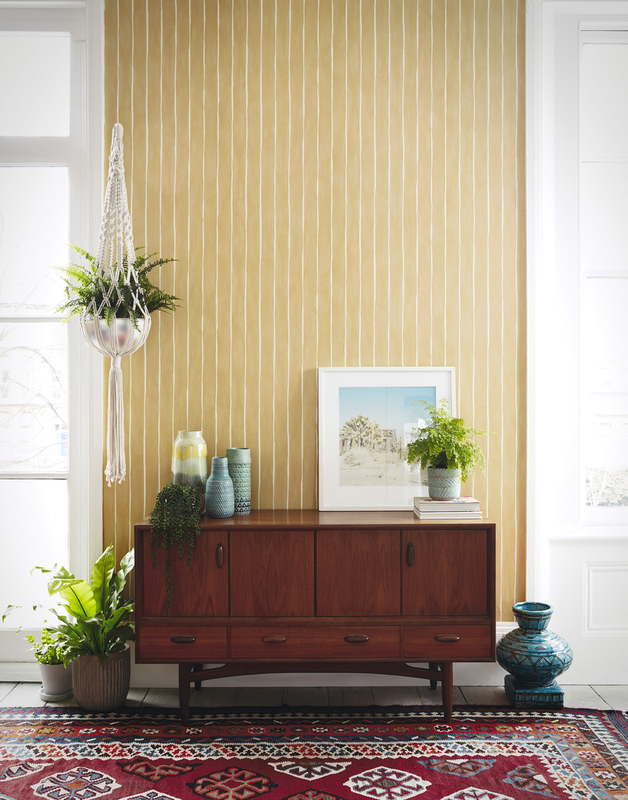 Ochre offers a sophisticated mid-Century palette of warm ochre and creamed buttercup which will add soft, golden light to any setting. Old Olive is a peaceful and serene palette of old olive, sea-mist and silvered eucalyptus which will bring a delicate grandeur to any room. Accents of soft metallic compliment a more contemporary look. 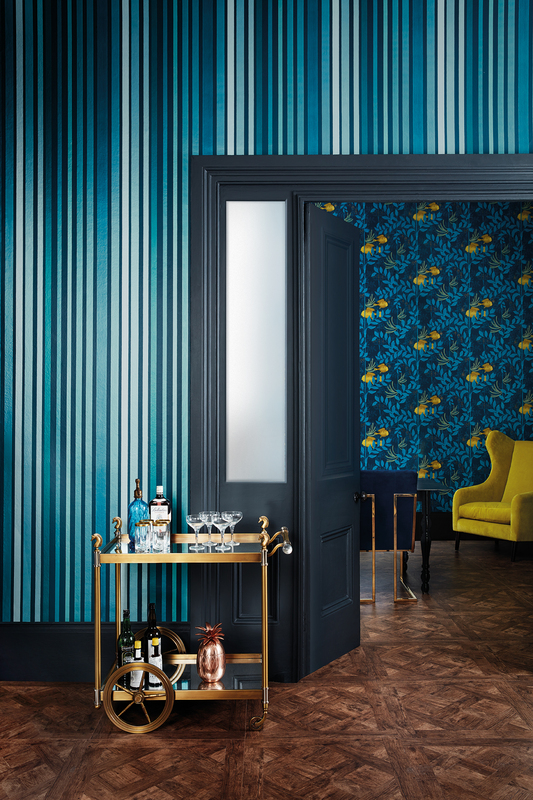 Ink - a nautical palette of ink blue and midnight spliced with soft, silvered metallics for striking, sophisticated spaces. And so the list goes on with reds, greys, powders, leaf green and many others. A Go-To book of fabulous stripes, all in the colours of today.